I am in the midst of a workshop which is great fun. 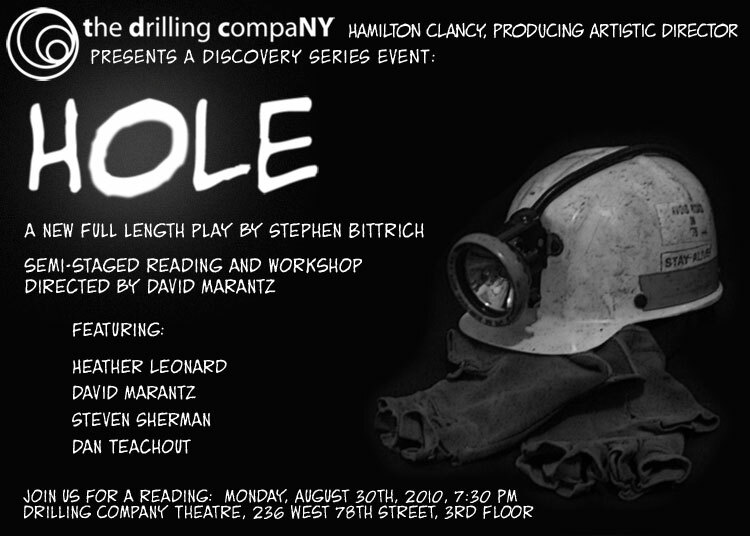 I’m turning my one-act, Hole, which was performed this May by The Drilling Company, into a full length play. I’m working with fellow friends (and artists), Dave Marantz, Heather Leonard, Dan Teachout and Steve Sherman, and we’re meeting each week at the Drilling Company Theatre, and I promise 10 new pages per week. It’s been a great way to work! As a writer, I love feeling connected to a community (as opposed to working at home alone for months), so this has been a great experience. On August 30th, 2010 at 7:30 PM we will have a semi-staged reading of the new play at the theatre. The date is set. I can’t get out of it! I hope you’ll join us at the Drilling Company Theatre at 236 West 78th Street, 3rd Floor. 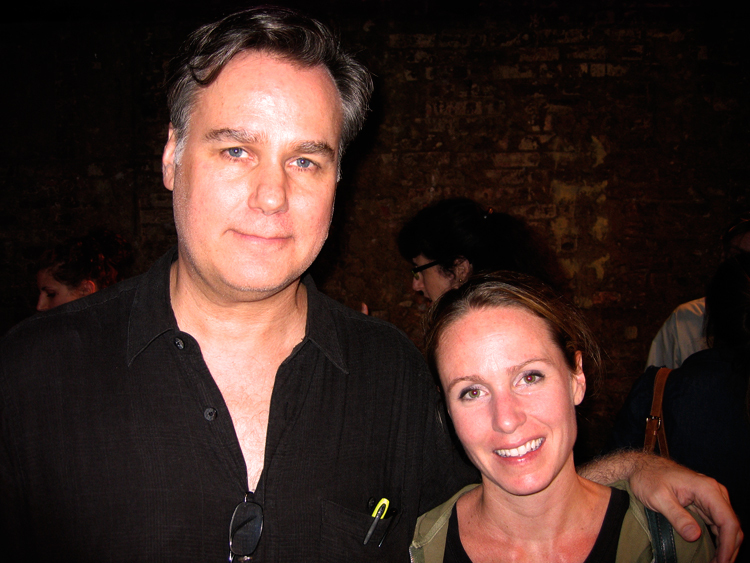 Stephen Bittrich, writer, and Heather Leonard lead actress in HOLE.